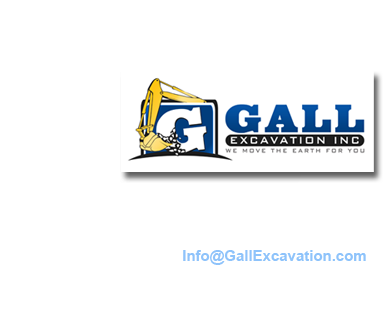 Gall Excavation provides a variety of Services for your excavation, building, remodeling or landscaping project. No job is too large or too small, and we look forward to visiting with you regarding your goals and expectations. Dump truck and heavy hauling. We have nine Tri-Axle Dump trucks to handle your product delivery or heavy hauling needs. ♦ Delivery of topsoil, red dirt, mulch, fill dirt, creek gravel, crushed limestone products to your site. ♦ Brush and debris removal. ♦ General heavy hauling needs. 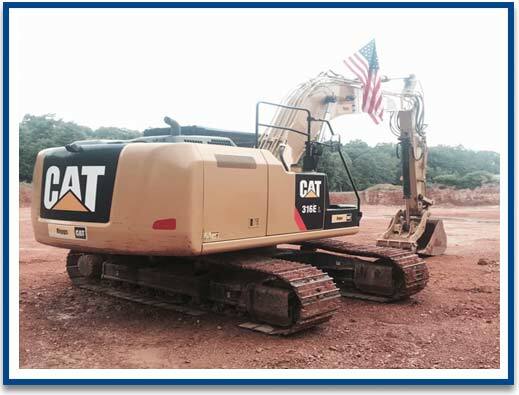 Lot clearing, earthwork and site preparation for both commercial and residential projects. We are commercially licensed and insured. All waste material will be disposed of correctly in accordance with regulations. Foundations, concrete pads, footers and basements. We specialize in the installation of septic systems, grading and drainage. Whether you are starting from scratch or maintaining an existing gravel driveway or parking lot, Gall excavation has the products, services and expertise to meet your project needs. ♦ Gravel driveway material, including Class 7 Base (SB-2), Class 8 Base (Small Base), Non-specific Base or coarse lime. See “Limestone Products” for details.